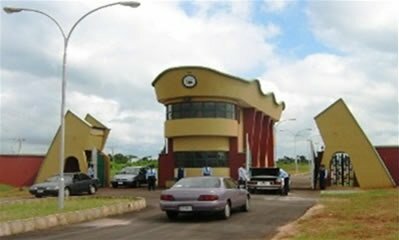 The management of the Federal Polytechnic, Ilaro invites applications from suitably qualified candidates for admission into its various Part-time (Weekend) and Full-Time Programmes leading to the award of Higher National Diploma (HND) qualification. GENERAL INFORMATION FOR HND PROGRAMMES: All candidates are expected to consult the institution’s prospectus on the website or in hard copy to ascertain their qualification for courses for which they are applying. Candidates should not register for courses for which they do not have the requirements. The admission of the Federal Polytechnic Ilaro is provisional; ANYTIME it is discovered that a candidate registered for a programme for which he/she is not qualified or a candidate is in violation of any of the procedures and rules thereof the admission would be withdrawn. Duration of all Full-time Programmes: 4 Semesters (Full Time). SCHOOL OF ENGINEERING: Departments: Computer Engineering, Electrical/Electronics Engineering with options in: (i) Electrical Power and Machines, (ii) Electronics and Telecommunications Engineering, (iii) Instrumentation and Control, Mechanical Engineering with options in: (i) Plant and Power Engineering Technology, (ii) Manufacturing Engineering Technology. Duration of all part-time programmes: 6 Semesters in 24 calendar Months.